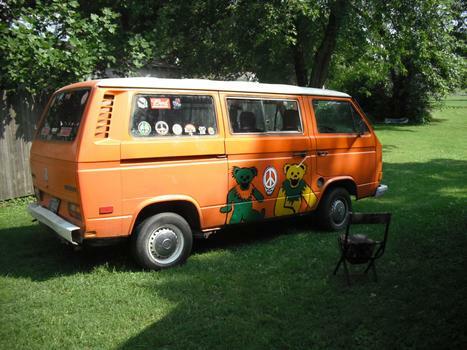 This here is my vanagon bus if people is wanting to know painted it myself but now dont have grateful dead bears on it but like going to deer creek and camping at sleepy bear campground just like there sign and place to crash!!!!! It orange now and white on top. If anybody would be interested maybe in buying it I might be willing to trade or sell it for a four wheel drive truck small truck or big truck number is 765-918-2580 that is my cell phone would be a nice vechile for a family to own to go camping or traveling.